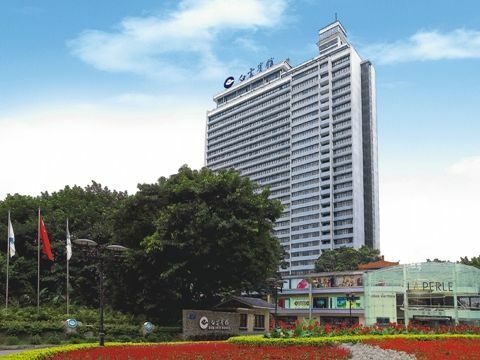 Opened on June 1st 1976, Baiyun Hotel Guangzhou, newly redecorated in 2006, is a 5-star business hotel in Guangzhou and a member hotel of “Best Western”. Baiyun Hotel is located in prosperous Huanshi East Road which is Guangzhou's financial and commercial heartland. All the guest rooms, ranging from standard rooms to presidential suites, are spacious (3.2 meters high), comfortable and equipped with all the modern amenities, particularly Executive Floor (26th floor) will provide guests efficient and noble service. The hotel's restaurant Baiyun xuan provides native Cantonese dishes and wonderful snack and meals. And the restaurant Baiyun Han Yan is a good place for large size banquet, international conferences and professional exhibitions. Guests could relax in Baiyun Hotel's lively lobby bar and enjoy considerate service whether in business negotiation, traveling and sightseeing or shopping at leisure. Baiyun Hotel Guangzhou creates a warm and a homely atmosphere, matched with friendly and welcoming service.